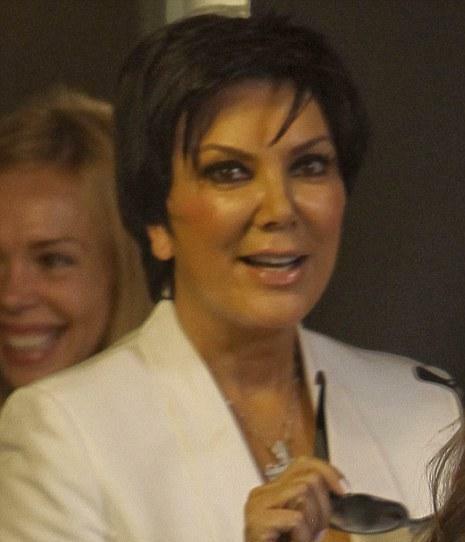 The Kardashian mom, Kris Jenner, is planning on making herself pretty for Kim’s wedding. At age 55, she got her first facelift, which will be the subject of a whole episode in “Keeping Up With The Kardashians” reality show, Us Weekly announces. The surgery went well, with no complications and now Kris Jenner looks younger and “gorgeous” according to her daughters. After the surgery, when Kris woke up, Kim was beside her, telling her “Mom, you look fab”. Even though the bandages were wrapped around the reality star’s face with no possibility of seeing the outcome of the intervention, her daughter went on saying “You look gorgeous”. After all, that’s what daughters are supposed to do. At Chris to the list of women who look plastic and not real! !